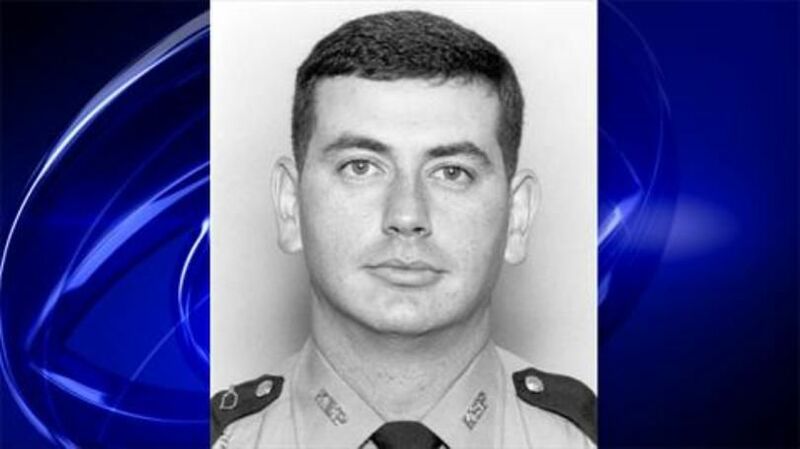 Nearly three decades after his death, the case involving Kentucky State Police Trooper Johnny Edrington remains as one of the most talked about cases in Laurel County's history. 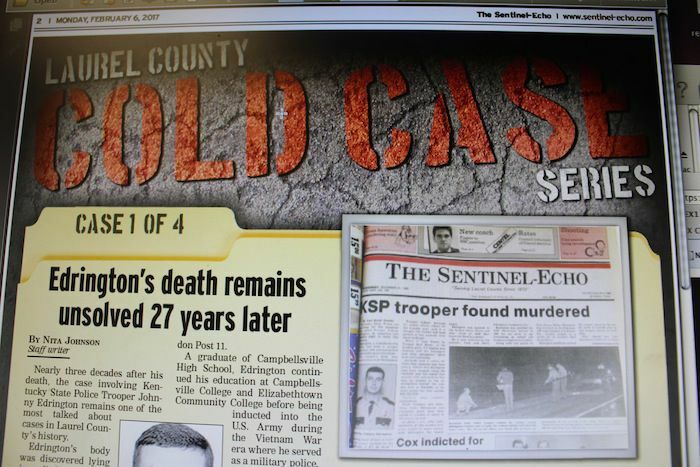 Edrington's body was discovered lying in a ditch on an isolated stretch of road approximately seven miles west of London on Ky. 1956 near the Laurel-Pulaski County line just after 2 a.m. on Dec. 20, 1988. He had a single gunshot wound to the head - inflicted by his own service weapon. Edrington's vehicle was pulled off the side of the roadway with the emergency lights flashing, according to the case history. At the time of his death, 34-year-old Edrington, a native of Campbellsville, Ky., was a three-year veteran of the Kentucky State Police and was assigned to the London Post 11. A graduate of Campbellsville High School, Edrington continued his education at Campbellsville College and Elizabethtown Community College before being inducted into the U.S. Army during the Vietnam War era where he served as a military police. His formal law enforcement career began with the Campbellsville Police Department and the Taylor County Metro Police, where he was also a member of the Campbellsville-Taylor County rescue squad and fire department. After graduating from the Kentucky State Police academy, Edrington was assigned to the London post where he served as a trooper. Edrington and his wife Dianna had been married just over six months and were expecting their first child at the time of his death. The investigation conducted by his own co-workers from the KSP Post 11 indicated Edrington was conducting a traffic stop and was shot as he approached another vehicle. However, no suspects were ever apprehended. Kentucky State Police Detective Sgt. Moses said the Edrington case is one that has brought numerous investigations and reviews since the incident. Moses, who was recently promoted to the supervisor over detectives at the London Post, said Edrington’s case has been ongoing over the years, although there are currently no new developments. But Kentucky State Police have never wavered in their investigations as information came over the years. The unsolved case has spurred many theories and rumors over the years that extend from suicide to an ambush by suspected criminals who lived in the area. Those theories, however, remain unsubstantiated and the case remains unsolved over 27 years later.